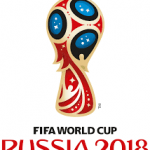 The World Cup is the biggest sporting event in the world every four years. This is even true for the United States, where the World Cup garners more betting action …. The 2018 Kentucky Derby left nothing to be desired, with a great race won by the favorite Justify. The track was wet, but that didn’t stop the favorite, Justify, from …. Justify will look to follow up his impressive win at the Kentucky Derby, with another win this Saturday at the Preakness Stakes. He is a big favorite to get the …. 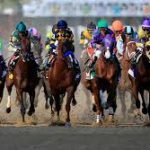 The Preakness Stakes is the second leg of the Triple Crown, and with Justify winning the Kentucky Derby and now coming into the Preakness as the massive favorite, it looks …. The biggest race in the USA is only a few days away and I can feel the hype starting to build up for the horse racing season. The Kentucky Derby …. 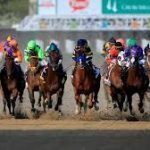 The Kentucky Derby is the one day a year where horse racing takes the front seat in the sports world, and people who don’t normally gamble on horses look to …. The 2018 NFL Draft is set to take place at AT&T Stadium in Arlington, Texas from the 26th to 28th of April. The Cleveland Browns have the first overall draft …. After two weeks without action the UFC is back in a big way this coming weekend with a stacked UFC 223 PPV card featuring two title fights, plenty of big …. March is the month of heavyweight title fights in the boxing world. The month kicked off with Deontay Wilder defending his WBC heavyweight title with a 10th round TKO of …. The Cheltenham Festival takes place in a couple weeks at Cheltenham Racecourse in the UK. There are 28 races scheduled for the four-day meeting with the best horses in the ….